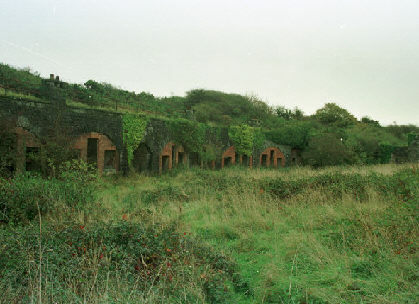 Fort Scoveston was the only one of the chain of 6 defensive forts planned to protect Milford Haven from inland attacks from the north to be built. It was constructed between 1861 and 1864 with a hexagonal design surrounded by a 36 feet wide escarpment. 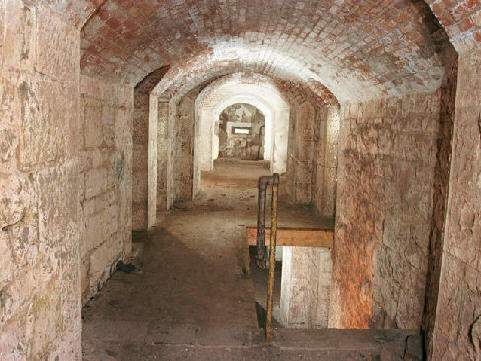 It is surrounded by a rampart with a caponier on each corner. The fort is very overgrown and not accessible to the public.